The Museum is now closed for the season to the general public but remains open year-round for private functions and special events. Home of the Crosby boats and the largest collection of wooden boats in Massachusetts. 2019 rotating exhibit: “Give Us the Vote: Osterville’s Role in the Suffragist Movement” Did you know that Wianno served as a “Haven” to Anna Howard Shaw—a prime force behind the adoption of the 19th Amendment. She was a reverend, a doctor, and a history-maker. And she did it all here in Osterville. Osterville Farmers’ Market Opening Day, 9 a.m. to 1 p.m. The best of sea & land with over 25 farmers and food vendors. On the grounds of the Osterville Historical Museum. Free parking and free admission to the Museum. 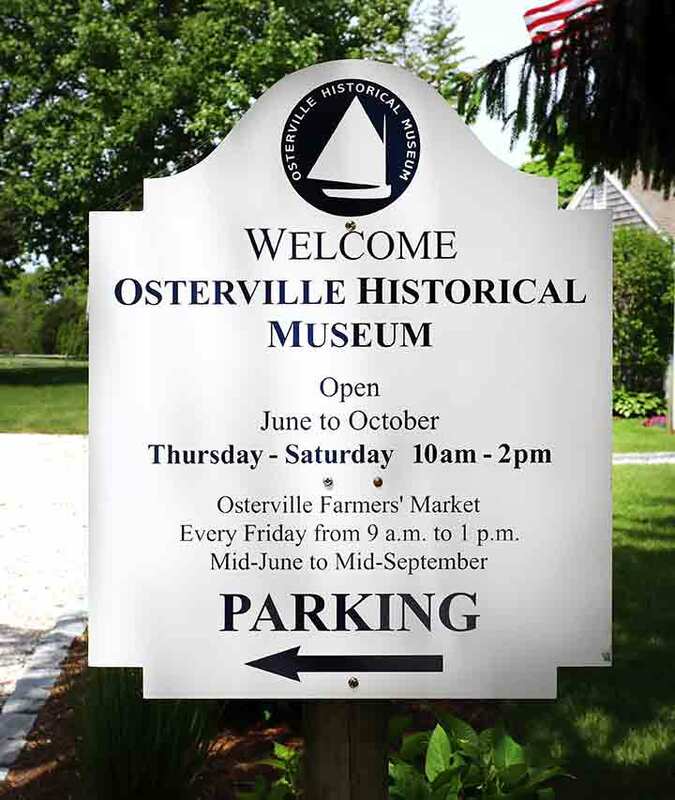 Osterville Farmers’ Market – 9 a.m. to 1 p.m.
“Sail into Summer…” and Celebrate Osterville’s History with Us. 20 Renowned Cape Cod Artists in a show and sale to benefit the Osterville Historical Museum. Thirty percent of all sales are tax deductible. Antique, vintage, and muscle cars gather at 10 a.m. on the grounds of the Museum for the parade start at 12:45 p.m.
Museum open 10 a.m. to 2 p.m.
Have a car? Join us… Email cars@OstervilleMuseum.org for more details. Osterville Historical Museum’s “Gilded Suffragists” lecture & dinner. Open to Museum members. Wianno Club. Call 508-428-5861 for more details and reservations. Open to Museum members Call 508*428-5861 for more details and reservations. 40 dealers from around New England in just one location. Nauticals, paintings, prints, rugs, furniture, books, silver, jewelry, glass, porcelain, Americana, and more. Last Friday of Osterville Farmers’ Market and last regular Friday of the OHM 2019 Season. The Museum remains open year-round for group tours and special events. Kicks off as part of the 50th Annual Osterville Village Stroll – 25 magnificent trees decorated by area designers and merchants are available during a silent auction. Museum open 10:00a.m. to 3:00p.m. Silent auction ends promptly at 3:00p.m. Winners need not be present to win. A curated holiday pop-up featuring local artisans throughout the Parker House at the Osterville Historical Museum. Find the perfect gift for yourself and everyone on your list!